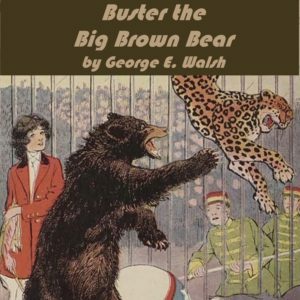 George E. Walsh was an American author, known particularly for his large number of children’s books for different age groups. Buster the Big Brown Bear is part of the Twilight Animal series, a collection of stories for children aged four to 10, featuring such characters as Buster the brown bear, Bobby Grey Squirrel, and White Tail the deer. In this collection of stories, we follow Buster, who is born on the river and lives with his mother as a cub. While his mother is out hunting for food, Buster meets Loup the lynx who has only bad intentions. Buster manages to escape from Loup and ends up on a series of adventures he could not imagine.